“How should the mind that can contemplate God relate to our fellow beings, the other life-forms of the world? What is our human responsibility?” I revisited these words a few evenings ago as I thumbed through Jane Goodall’s Reason for Hope. I hadn't sat with this book in years, and opening its pages made me instantly nostalgic, and particularly mindful of a well-crafted practical joke my sister once fooled me with: When she gave me the text, she wrote, “To Kathryn; From Jane Goodall” on the inner cover. Needless to say, she got me good. I recognize just how built into the framework of yoga the question of conscious relationship really is. I've always been an animal lover with an eye for adventure, and although I've rarely called the unseen “God,” Goodall's spiritual reflections resonate with me—especially as they so often pertain to animal life. 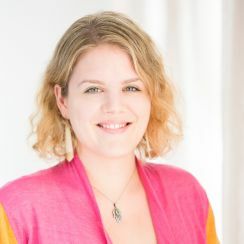 Now, as my twenty-something self revisits her heartfelt contemplation, I recognize just how built into the framework of yoga the question of conscious relationship really is. Particularly when it comes to ahimsa (non-violence)—a practical approach to kindness, a concept claimed to be the foundation of any fruitful yoga practice, and the yogic task to reduce the suffering of all beings. It's not exactly original to tie ahimsa, yoga, and veganism together in article format (that's a small part of what I am about to do here. Full disclosure: I practice ahimsa, in part, by being vegan). In fact, often there's a lot of controversy surrounding the subject. Google “ahimsa,” “veganism,” and “yoga” together, and you'll likely see what I am talking about. And while it's easy to get caught up in the “yogier-than-thou” mentality (for vegans and non-vegans alike), what if instead of concerning ourselves with whose diet is most “yogic,” each of us sincerely looked for ways to practice kindness and non-harming in our own lives? For me, when I started to examine how I could practice ahimsa in my life, veganism made sense. While everyone might not come to the same conclusion, when it comes to extending more kindness toward our fellow creatures, there are ways that we can all get involved—particularly when it comes to being conscious about what we purchase and eat. My own call to action began rather mysteriously. A yoga teacher of mine once described his journey toward a plant-based diet as something prompted by an “inner voice,” and this was also the case for me. The voice arrived 11 years ago as I was standing in line at a local grocery store, ready to order my then favorite meat-laden sandwich (a hero panini). Though the environment was benign, and the surroundings quite friendly, a collective sensation of pain began to wash over me. 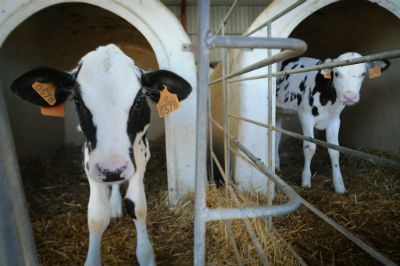 Though I'd never really associated my food with living, feeling animals before, I felt that the pain I was experiencing had something to do with the meat I was about to consume. From there, I began my research. I learned about factory farms for the first time; that many animals are hidden away from our view and subjected to physical tortures considered standard industry practices (such as tail docking, egg industry de-beaking, and the extreme confinement of gestation crates). And as the shadow side of my food emerged, the understanding gradually stretched the contours of my human-centric world toward inclusiveness. Later, when I found yoga (and developed a yoga practice), I realized that this had been my introduction to ahimsa. It was when I realized that I could, by way of compassionate action, reduce suffering. In this case, the action was eliminating meat from my diet. While few, if any, of us could claim an “ideal” yoga practice (we are all human, and we're all just doing the best we can), there is a yogic-ideal concerning animal life. I think exploring the concept is an important preface for a conversation on animal welfare, at least insofar as yoga practitioners are concerned. Perhaps the most prevalent concept which comes to mind is that of the sacred cow. In a 1997 issue of Yoga International, David Frawley explains the symbolism in his article, “Udderly Delightful: A Fresh Look at Dairy Products.” He explains that the sacredness arose from the reverence people felt toward the cows' generous milk production. That reverence was demonstrated through proper care and respect for the animal—and ultimately, caring for cows in this way was thought to help humans cultivate positive qualities such as wisdom and kindness. Sharon Gannon often states that we can have anything in life, but only if we offer it to another first. But in order to see every being as human, we have to acknowledge them fully. Though acknowledging animals in the full scope of their reality is inevitability a painful process. Though I became a (lacto-ovo) vegetarian virtually overnight, for many years I ignored the fact that I was still contributing to animal slaughter by consuming animal products (not only to the slaughter of dairy calves, but also to the egg industries' shredding of male chicks). Contemporary egg and dairy products are so removed from the consumers, if I didn't pry into the matter, I could easily overlook the slaughter networks behind them. And because “everyone” eats eggs and dairy (I thought) it must be natural, it must be necessary. But gradually, the internal paradox became louder, and clearer. 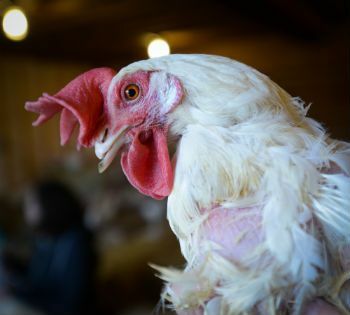 I could no longer justify responding to the welfare of my pet companions (my dogs and cats), and continue to ignore the welfare of others (particularly cows and chickens). Setting my intention to not only go vegan, but remain vegan, was ultimately the result of watching the documentary, The Ghosts in Our Machine. 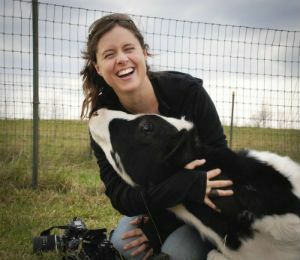 The subject of the film is animal photographer and founder of We Animals, Jo-Anne McArthur. By digging deeper into the source of my yogurt, my cheese (no matter how tasty it may have been to me), I am more aware that when I consume this food thoughtlessly, I contribute to unseen, unheard, animal deaths (I was startled to learn, for example, that globally, 2.1 billion farm animals are slaughtered each week). But ignoring the factory farm industry, and the suffering therein, won't make the issue magically disappear. Ghandi once said, “Whatever you do will be insignificant, but it is very important that you do it.” It's a thought I often refer to when I contemplate how to bridge my yoga practice with social issues. Van Kleeck and his wife Rosemary consider much of their work with The Microsanctuary Movement, and the rescue networks they've created for vegan outreach, as a form of karma yoga. 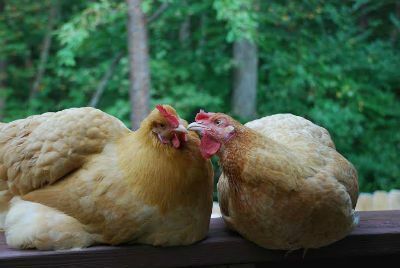 Their Facebook group, Vegans with Chickens, currently works as a hub for adoption, community, and animal-welfare education. "Once you stop exploiting someone, it becomes so much easier to see them for who they really are." And personally? 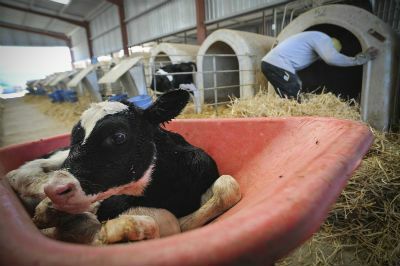 When I take their plight off of my plate, I free myself up to fully connect with each and every animal—not as product, but as a fellow being. The inner voice persists. It tells me that their suffering is my own, and that I cannot be fully human (or fully spiritual) when I ignore it. I thank them, each day, for teaching me about the depths of compassion—about the heart of consciousness itself. If this in any way resonated with you, please share this article with your friends and family, and raise your voice for animals.